BERLIN (AP) — The European Parliament’s main center-right group will discuss later this month whether Hungarian Prime Minister Viktor Orban’s party should remain a member, amid anger over the anti-migration party’s latest campaign against European Union leaders. The European People’s Party said Tuesday that it has received letters from 12 member parties in nine countries seeking the exclusion or suspension of Orban’s Fidesz party from the group, the biggest in the outgoing EU legislature. That’s considerably more than the seven parties in five countries that its rules require. The issue has now been added to the agenda for a March 20 meeting of the EPP’s political assembly, which brings together representatives of member parties. Whether there will be a decision is unclear, but the body could decide to kick out or suspend Fidesz, which will be given an opportunity to defend itself. The matter is coming to a head a little over two months before the May 23-26 European Parliament election. Orban has been strongly identified for years with anti-migrant rhetoric. In recent weeks, he has angered many in the European People’s Party with a campaign of government ads accusing European Union leaders of promoting mass migration. They depict European Commission President Jean-Claude Juncker, a fellow EPP member, and Hungarian-American billionaire George Soros. The parties that have called for action against Fidesz are from Belgium, Finland, Greece, Lithuania, Luxembourg, Norway, the Netherlands, Portugal and Sweden. They do not, at least so far, include German Chancellor Angela Merkel’s Christian Democratic Union or its Bavarian sister, the Christian Social Union — the party of Manfred Weber, the EPP candidate to succeed Juncker. 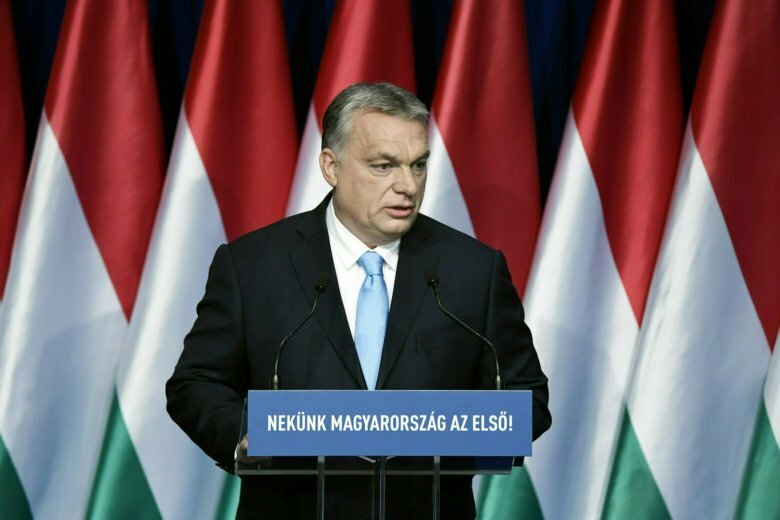 Weber was quoted as telling German daily Bild Tuesday that Orban “must stop his government’s anti-Brussels campaigns immediately and finally” and apologize to other EPP parties. He also called for the future of the Central European University in Budapest to be secured. The university — founded by Soros, whom Orban considers his main ideological foe — said in December it would move most of its programs to Vienna because Orban’s government was unwilling to sign an agreement guaranteeing its operations. “We need clarity this month,” he said.